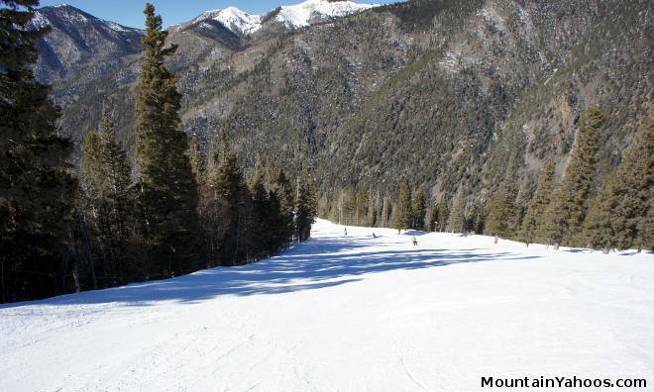 Taos Ski Valley is a favorite destination resort for the advanced skiers who crave steep mogul runs, high altitude hikes to fresh snow and a variety of black diamond and double black diamond runs to choose from. 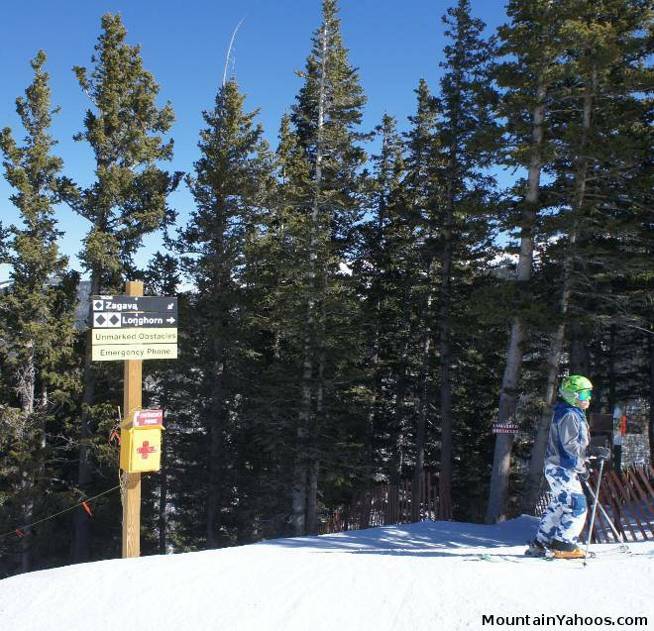 There is a lot of advanced terrain to explore and this resort favors the advanced skier but the beginner and intermediate riders need not fear this resort as there is plenty of easily accessible terrain for them too. It may not be obvious at first when one approaches the base of the mountain and is greeted with a view of "Al's Run", a steep, advanced mogul run. The trail map and runs are clear and well marked. The "green" and "blue" trails are well groomed and don't deceive or mislead one into trouble. 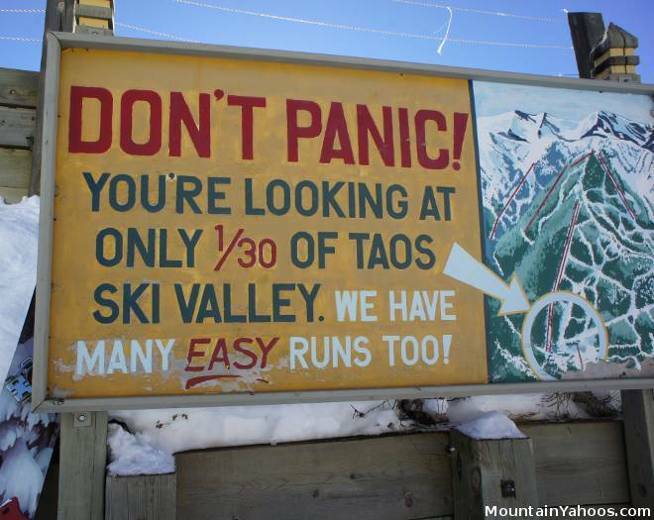 Taos is a mountain for all levels. A view of the lower front side of the mountain. Most of the mountain lies beyond this first peak. This mountain has plenty of terrain for the beginners and intermediates. Beginner runs tend to be the connecting trails and cat walks. At the edge of the base (bottom right on the trail map), one will find the ski school and Rueggli lift. 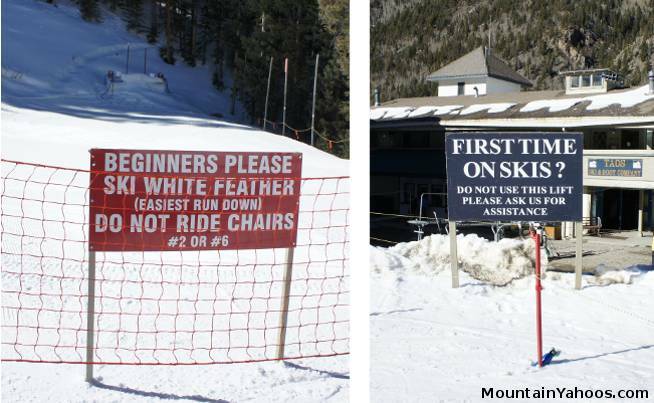 Here there are beginners only with no high speed advanced skiers whizzing by. It is an isolated run but beginners are sure to enjoy the isolation. 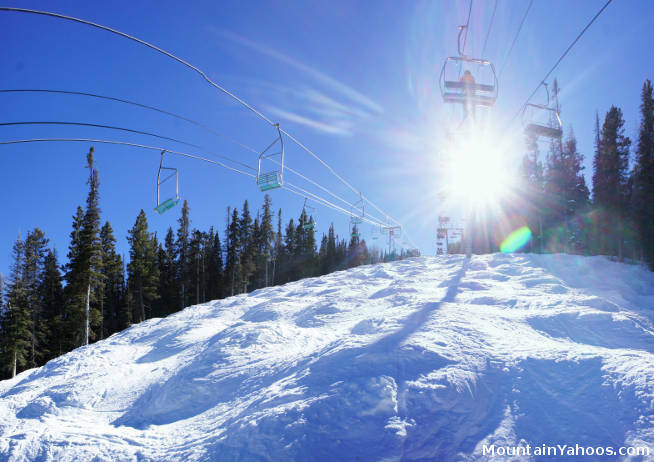 The top of lift 1 and 5 will take you to the top of "Al's Run", the signature bump run at Taos, or take "Porcupine", a gentle blue run. The entire Mountain has advanced terrain. 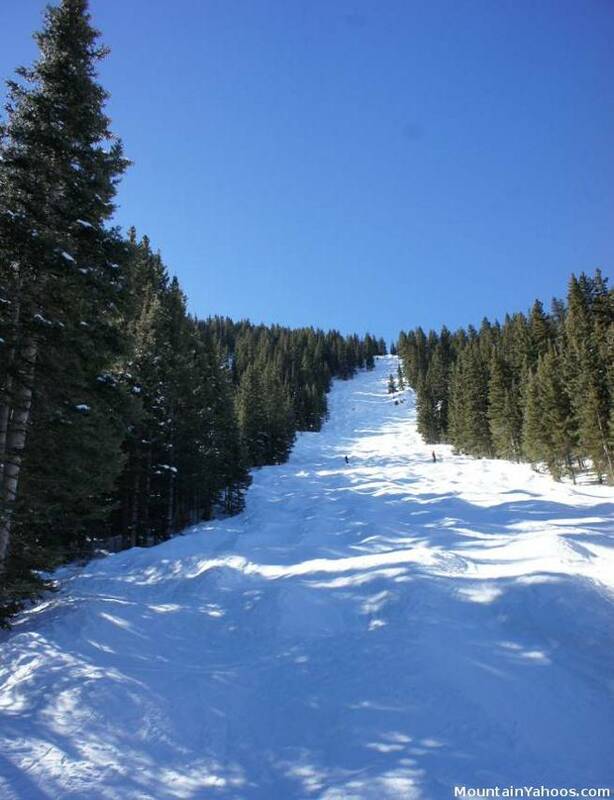 Taos has advanced terrain in all varieties: moguls, steeps or trees and of course runs with all three (moguls, steeps and trees) all on the same run. The first run you see from the base of the mountain is "Al's Run", a long, steep mogul run. It is often closed early in the season to allow snow accumulation. If Al's is not intimidating enough, try "Longhorn", a much longer and seemingly never ending mogul run with no exit trails. The entrance is steep and in the trees and probably the most challenging part of the run. "Longhorn" is a commitment. 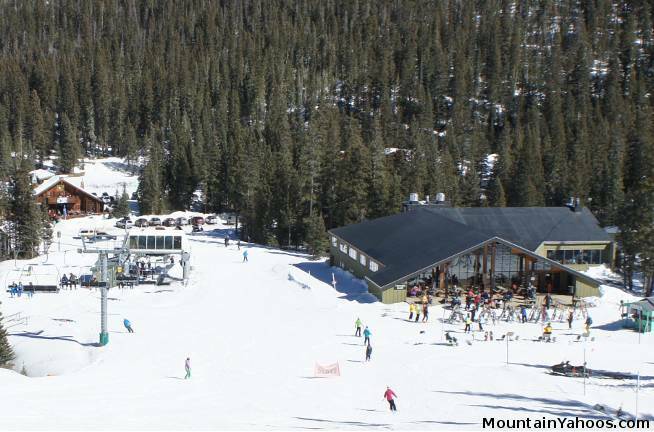 Al's Run: The mogul run which runs under lift 1 which faces you from the base of the mountain. Upper entrance to "Longhorn", accessible from the blue run "Bambi"
Looking up the first segment of "Longhorn"
Part of Porcupine is split: one half is groomed, one half is not. Great run when skiing with people of mixed levels. 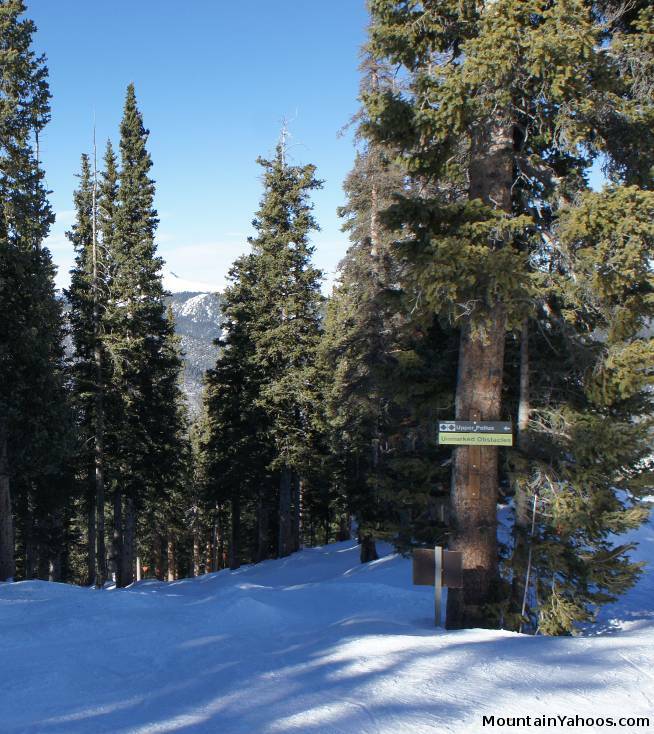 Tree runs at Taos are often difficult and not always obvious. Some of the more obvious are well marked like "Pollux" and the upper part of "Lorelei". Others such as "North American" (accessible from the top of "Al's Run") just look like a dense forest with no obvious trail. This one is hard as it is steep, bumpy and without a lot of room between the trees. This run is often closed as it really is only navigable when snow conditions are ideal. Obey the "Closed" signs when present. This is where Taos excels. The top of lift 2 hosts the gate to upper hike-able terrain leading to Highline Ridge and West Basin Ridge. This is your best option for un-tracked snow. 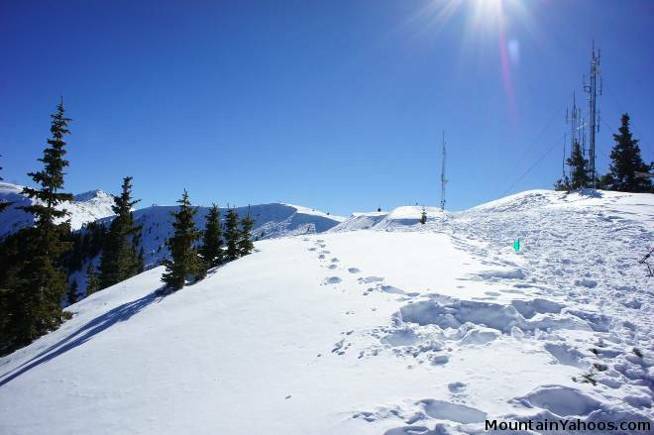 Since the installation of the Kachina lift, Kachina Peak is no longer in the hike-able category, but is now readily accessible by lift. This terrain is often closed to preserve snow until later in the season. There is none. The boundary is roped and closed. With so much in-bounds, hike-able terrain there is little need to go out-of-bounds. 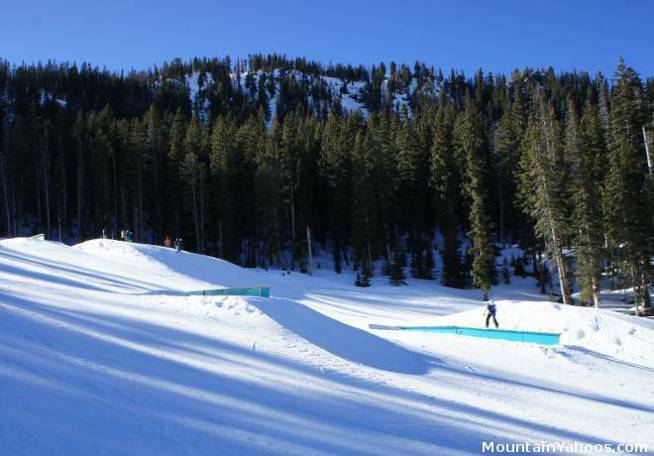 This mountain has two terrain parks: Bambi and Maxie. As the name suggests, Bambi has smaller features on which to learn and develop one's expertise. One is limited to rails, table tops and jumps. 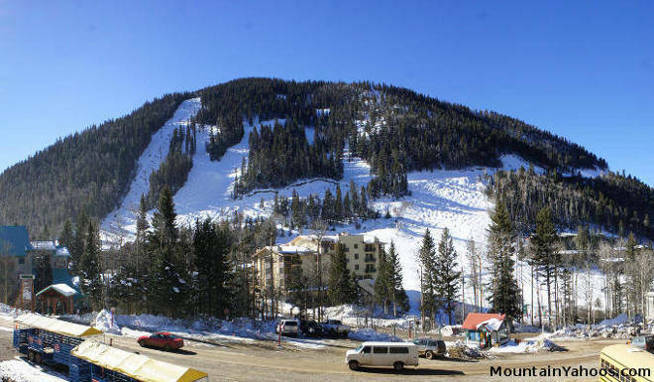 The town of Taos New Mexico is about a half hour drive from the Taos Ski Valley ski resort. The panoramic tour below shows the mountain base facilities which include a few places to eat, lodging, T-shirt shopping, ski equipment and clothing stores for both purchase and rental. The base facilities are only open a few hours after the lifts close. In town, there are more places to eat, lodge and shop. Shopping is limited but some of the Southwestern cuisine is quite good. When driving out of the resort beware of the setting sun which can set in your direct view as you are looking down the road. This is seasonal and time dependent: eg Feb 7 at 5:15pm you will be starring into the sun as you follow the road out of the resort. Be careful or choose your departure times carefully. Taos should consider re-routing the road or planting a few strategically located tall trees to offer a little protection from the glare.